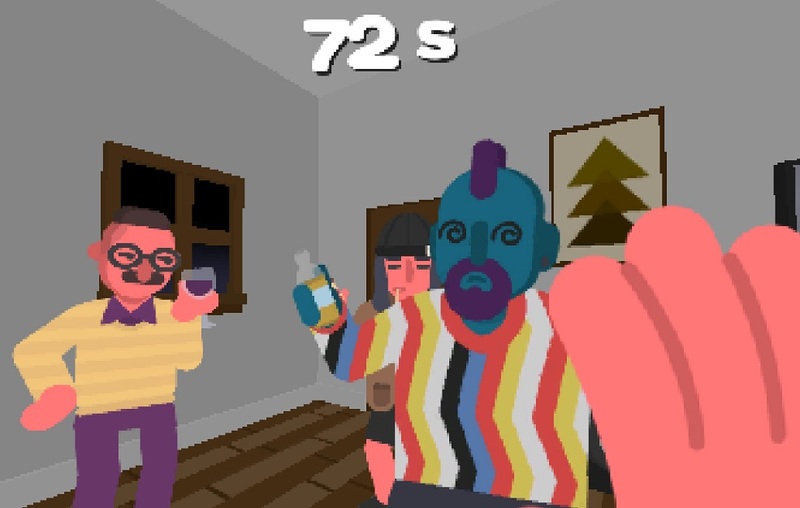 The genius game, created by Will Herring, lets you experience the party from a first-person viewpoint. All that’s visible is your hand, already equipped for some petting — and, also helpful to gently push partygoers out of your way. 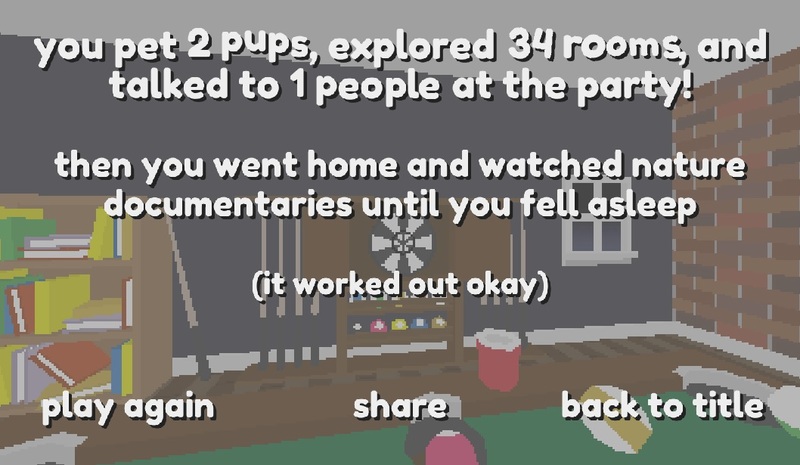 Sure, you can chat with the strangers — but really, the goal is seeing how many dogs you can find and successfully pet before the timer runs out. It is way, way harder than you might imagine. Because this house has multiple rooms and doors, and the best way to navigate towards a dog is to try hard and hear the loving arfs. But patience pays off, since these doggos are definitely worth finding. 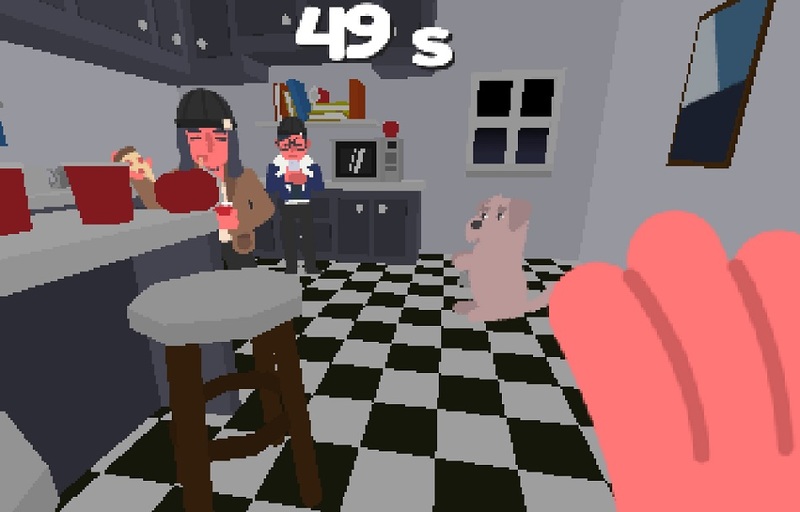 Your goal during each game is to pet as many dogs as possible while racing the clock. It’s just funny that someone created a game based on this premise, since we’ve been there. Multiple times. Of course, aside from how many dogs you’ve pet, it also tallies how many strangers you’ve talked to. So, while doing so takes away valuable seconds from your mission, it’s still a nice little boost to imagine yourself socializing with people you’re not immediately comfortable speaking to. Need to play this game right this second? We had a feeling. 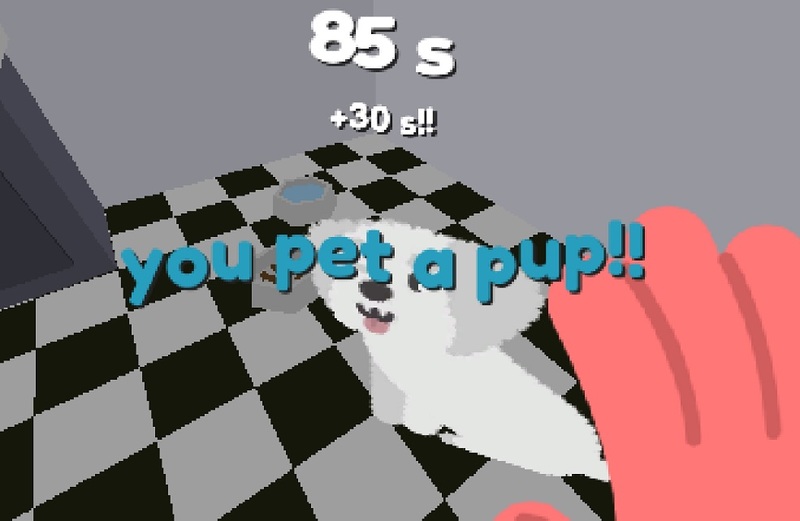 You can download Pet the Pup at the Party through Itch.io. Herring is asking people to name their price for the download, which seems generous. The fact that he seems to really know us — without knowing us — is definitely worth something.